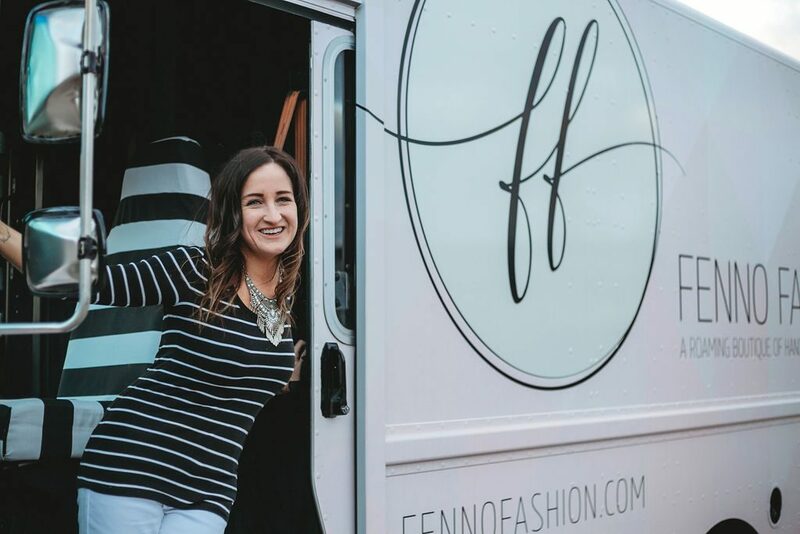 Fenno entered the fashion industry in 2006, after graduating from Savannah College of Art and Design with a degree in fashion design. 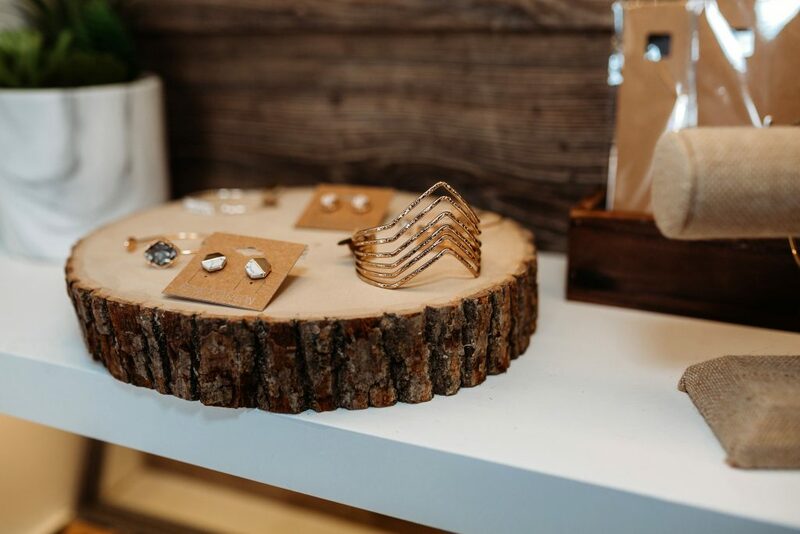 That same year, she and her then-boyfriend, John Fenno, moved to Austin, Texas, where she launched MEWfashion, an online retailer of jewelry, handbags, and custom sewing orders. (M.E.W. were her initials at the time.) In 2008, they married, and like Fenno, MEWfashion also took John’s last name, becoming FENNOfashion and reducing its inventory to just jewelry. Over the next year, as FENNOfashion’s clientele grew, Fenno grew homesick for Cincinnati, where she spent the first 12 years of her life. 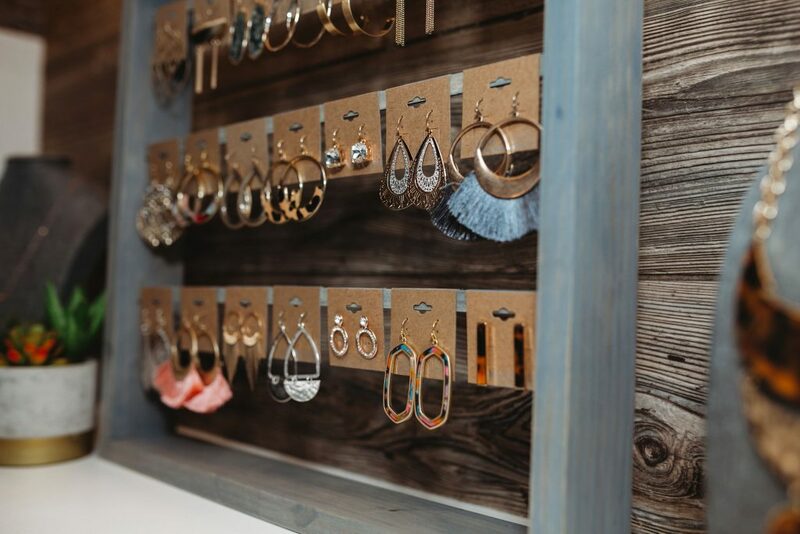 So in 2009, she and John relocated to the Queen City and settled on the west side, where she continued selling her handmade necklaces, bracelets, and earrings. But in 2010, FENNOfashion was put on hold, when she experienced multiple health complications following the birth of their son, Myles. While recovering from various surgeries and simultaneously raising a newborn, Fenno started a blog detailing her recovery. Shortly after launching the blog, with her business still on hold, Fenno and her family moved downtown, and she accepted a job as a fashion editor at Q102 and co-host of the radio station’s segment “One Chic Mother to Another.” In 2013, she transitioned into a community manager role at TV news station WCPO to cover fashion, local businesses, and lifestyle stories. In each of her job roles, though, she couldn’t shake the idea of reviving FENNOfashion. So when the Fenno family moved back to the west side in 2016, she began rebuilding her company and selling at markets and art shows. This time, her health didn’t stand in the way, but Cincinnati’s unpredictable weather did. “I love outside markets, but if it rains, I’m done for,” she says. “I have to redo all of my tags if they get wet because the ink bleeds.” Fenno finally decided to take her business mobile last May, after one particularly rainy outdoor market. 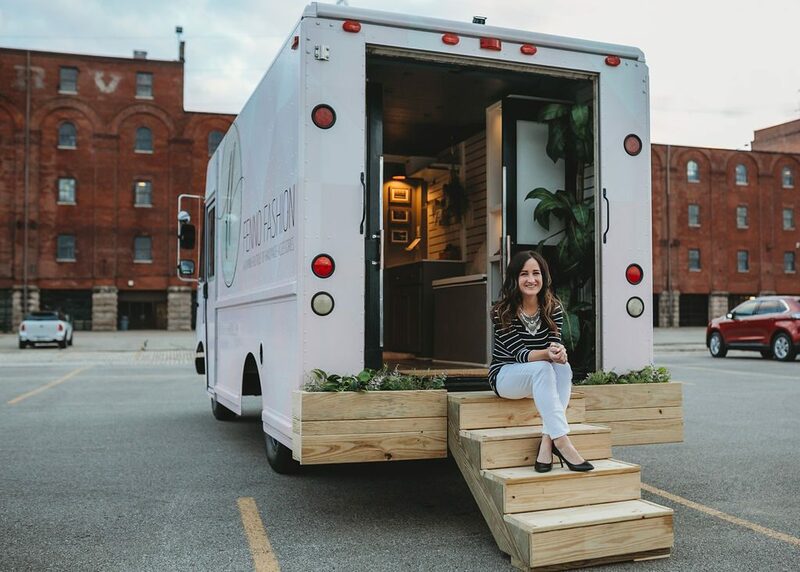 Over the next 11 months, Fenno and her husband purchased a truck, designed its matte vinyl wrap, and spruced up its interior by installing a wine fridge, table displays, and a window flower box.